Introduce the all-time favourite cold shoulder trend. 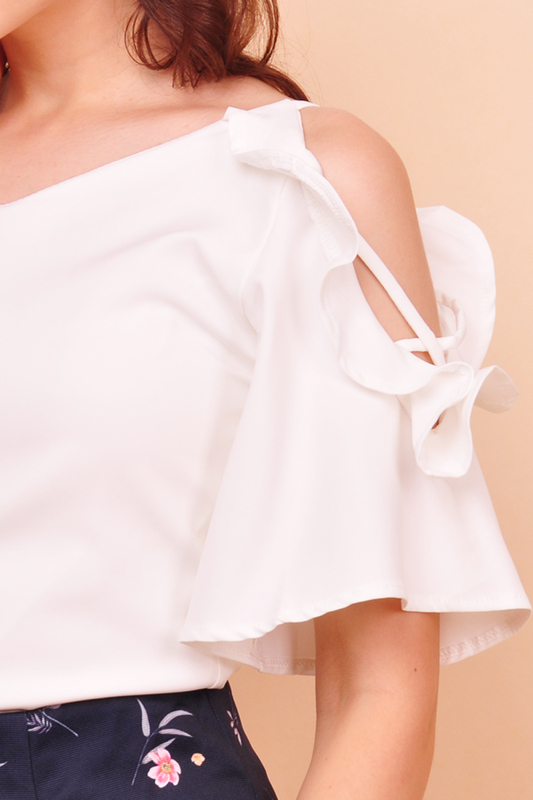 Our Jaylyn Frilled Cold-Shoulder Top is the ultimate choice for maximum sophistication while still being as trendy as ever to your outfit. Featuring a v-neckline and frill trimmed cold-shoulders that comes with a criss-cross detail on each side that adds a touch of sassiness to your look. Couple this pretty piece with a flare midi or maxi skirt and a pair of pumps or stilettoes for a feminine finish. This product is also available in Burnt Orange.